Seaside Reef in Cardiff-by-the-Sea is the spot for Surf Ride Demofest 2014 on Saturday, November 15, 2014, from 8:00am to 4:00pm. It's an opportunity for you to try out top brands of surfboards, wetsuits, SUPs, accessories and Ergo -- all for free. 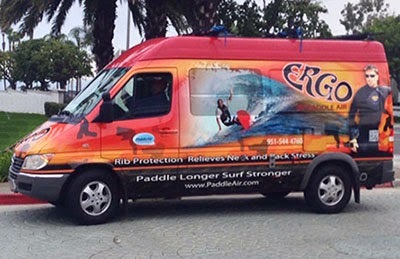 PaddleAir founder, Dave Hilts, will be on hand to answer your questions at the Team Ergo Demo Van. So stop on by and try an Ergo (in four styles) and discover how you can blowout back pain, rib pain and paddle stronger so you can surf longer! 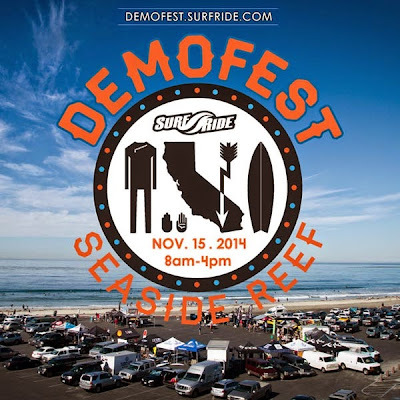 For more information about the event visit the Surf Ride blog. They also have a video of last year's Demofest.